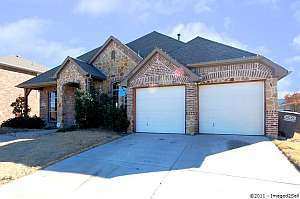 Little Elm TX Home For Sale – Pre-foreclosure in Frisco ISD. Former Lennar model home with extensive front landscaping and large covered porches. Hardwood floors in entry, study, and formal dining. Island kitchen features granite counters and stainless appliances. Kitchen opens to living area with stone corner fire place. Master has dual vanities, garden tub, and walk-in closet. Designer touches include chair rails, crown molding, French doors, and upgraded lighting. 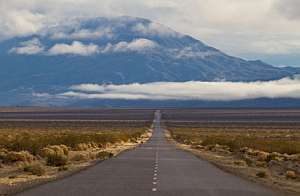 The personal quality necessary to achieve outstanding success in business is that you must be willing to go the extra mile. Robert Cialdini, in his book, Influence: The Psychology of Persuasion, discusses what he calls the Law of Reciprocity. Basically it says that when you do something for someone else, there’s an unstated obligation for them to want to do something for you in return. So when you go the extra mile for your customers or clients, you’ve just set the stage for that law to take effect. But it’s only on that “extra mile” that it works. When you give what might be considered “normal” service, or “adequate” service or even “good” service, you haven’t earned the right to expect that law to work for you. In fact, even performing “knock-out” service often isn’t enough to gain you an advantage. We’ve all come to expect that from any number of businesses. CB JENI Homes Are Bad…Really? I was looking in my site logs for the past week and noted a hit on my website from Google using, “CB JENI Homes Are Bad” as keywords. Really? Full disclosure…I am the exclusive listing broker for CB JENI Homes. To date, CB JENI Homes purchased three subdivisions out of previous builder’s bankruptcies; Wyndsor Court in Richardson, The Enclaves at Willow Crest in Plano, and The Estates of Willow Crest in Plano. They have taken incomplete subdivisions and brought them back to life. This has had a positive impact on the subdivisions and preserves property values for current homeowners. I’ve been there since the beginning and the latest construction may be the best I’ve seen to date. Quality design and solid construction results in a superior product. Worried about warranties? Don’t be. All homes and townhomes come with a one-year general warranty, two-year major systems warranty, and a ten-year structural warranty from a third-party insurer. The meltdown that started in 2008 caused many builders to close their doors and file bankruptcy. As we move forward, new builders will come forward to fill the void. Completing previously abandoned subdivisions should be seen as a good thing for both the current homeowners and new home buyers. Come out and take a look for yourself at the quality construction and attention to detail of CB JENI Homes and then decide for yourself. Visit The Enclaves at Willow Crest site or The Estates of Willow Crest site for more information on CB JENI subdivisions in Plano, Texas. I was out showing one of my Short Sale listings today. The showing went well, but the house did not really work for them. Before I could ask them if I could help them find something else, they asked me about a property they had seen on RealtyTrac. RealtyTrac bills itself as a ”Foreclosure Real Estate Listings” site. According to their website, “Save up to 50% off market value! 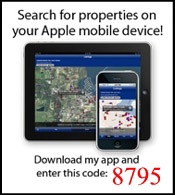 RealtyTrac lets you search the most foreclosure properties in your neighborhood.” It’s a pay site after a free trial period. In Texas, it appears RealtyTrac gets some of their data from the county records. The property they showed me was not listed, had not been foreclosed on, and the owners were still living in it. I suspect the lender filed for a substitute trustee (one of the recorded first steps in the trustee sales process) or actually posted it for a trustee sale. 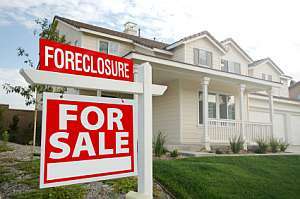 Even if the property had been foreclosed on, it may not be available for purchase. The lender has to make sure the property is vacant and in some cases, wait for the redemption period to expire before they list it with a local REALTOR®. They asked about contacting the lender to purchase it directly from the lender. While I don’t have extensive REO experience, I have two big REO agents in my office and they tell me that it’s not possible to purchase a single property directly from the lender. I explained this to them and I told them if they were truly looking for active foreclosure listings, the data was available in the MLS. I offered to set up a foreclosure search for them. My advice to them was to work with the MLS data as it is likely the most accurate source of actual foreclosure real estate listings unless they wanted to try to purchase a property at a trustee sale. One of our past clients dropped us a note on FaceBook this morning. She was looking for a referral for a plumber. We asked her to describe the problem. Apparently several of the cold water faucets and one of the toilets are not working. She’s likely going to need a plumber in a few days. The temperatures have been at record lows. We’ve had lows in the teens and highs in the 20’s for the past two days. What she is experiencing is most likely frozen water supply pipes in the exterior walls of the house. The cold water has frozen and the pipe is plugged. Sadly the worse is yet to come in many cases. 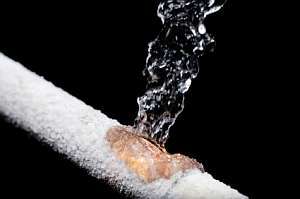 Copper is soft and as the water in the pipes freezes, it expands. This expansion will often cause the pipe to rupture. The extent of the damage will not be known until Saturday when temperatures climb above freezing for the first time in about four days. Given the number of calls plumbers will be taking starting Saturday, we suggested that she locate the master water shut-off valve for the house. That way she can shut off the water supply and prevent extensive water damage to the house. If you’re concerned about this happening to your home, you can leave the cabinet doors open so warm air from the house circulates under the sinks and you can crack the water faucets allowing a small trickle of water to flow. Moving water is far less likely to freeze. As it begins to warm up, be sure to check around your home for water leaks and be prepared to take action. Plano TX Townhome For Sale – Former Portrait Model Home with lots of upgrades. Custom window coverings and bathroom shower curtains. Gourmet kitchen with breakfast bar, upgraded cabinets, Corian, black appliances, and gas range. Study with French doors. 8 ft Knotty Alder front door with wrought iron speakeasy. Enclosed private patio with gas for BBQ. Full service HOA for low maintenance living with pools, park, and playground. Easy access to 121 and Dallas North Tollway. Farmersville TX Land For Sale – 16 Acres located on the east side of Lake Lavon. 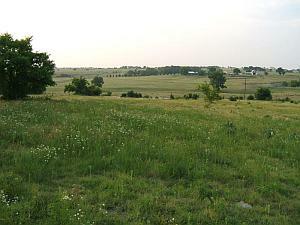 Rolling hills, trees, creek, and a pond make this a great site for your new home. 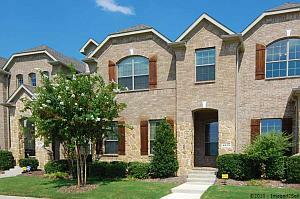 Live in the country with easy access to McKinney and Wylie. Electric, phone, and water available. Current status, pricing, and photos for this Farmersville Texas Land For Sale.